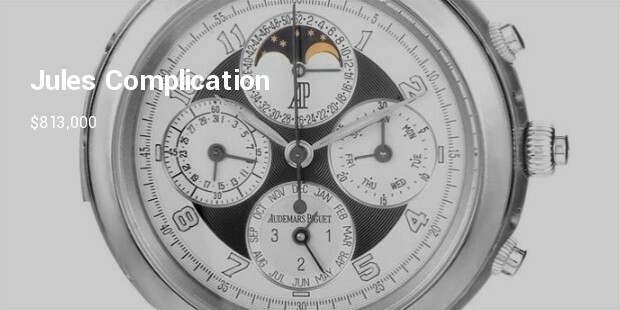 The prestigious Audemars Piguet is a company that evoke class and luxury. Celebrities such as Justin Timberlake, Patrick Dempsey and Lebron James have been spotted wearing these quality watches. The most expensive watch made by Audemars Piguet comes in 18 karat white gold casing, a transparent sapphire bracelet case back and has 52 jewel movements. The watch features perpetual calendar indications such as small seconds indicator, minute repeater, split second chronograph, leap year, day, week and month indicators. 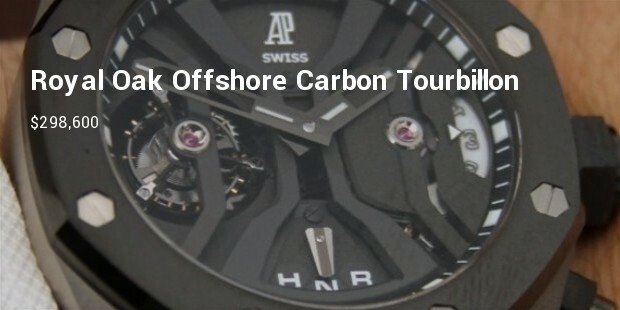 The only time pieces that are more expensive than the Royal Oak Complication are the ones that are customized. 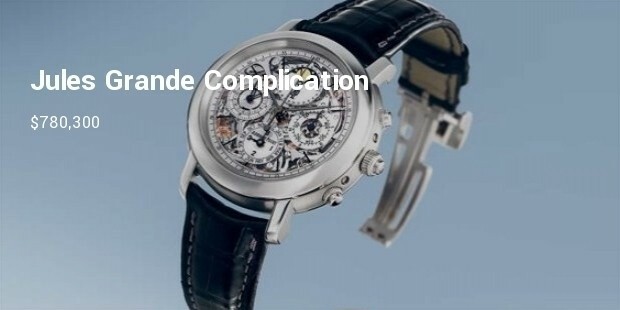 Built with the best materials money can buy, the Jules Complication features a scratch-resistant sapphire crystal, a polished platinum case, a crocodile leather bracelet and self winding automatic movements. The Jules Grande is a unique watch from Audemars Piguet that features a titanium case and a crocodile skin leather straps. 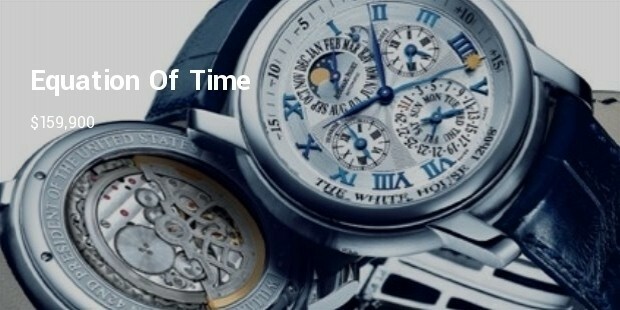 It also features numerous perpetual calendar indications such as minute repeater, leap yea, split second chronograph, day, week and month indicators. 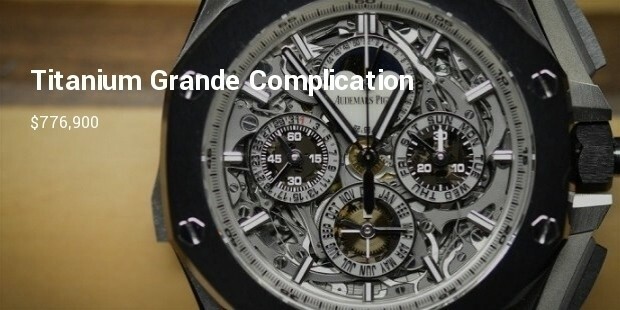 The Titanium Grande has many perpetual calendar indications and functions however it stands out because it features parts that have been cut and finished by hand. 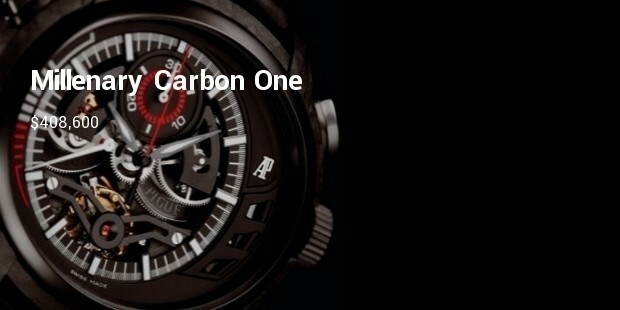 The watch also features chrono push and a 44mm black ceramic bezel titanium crown. 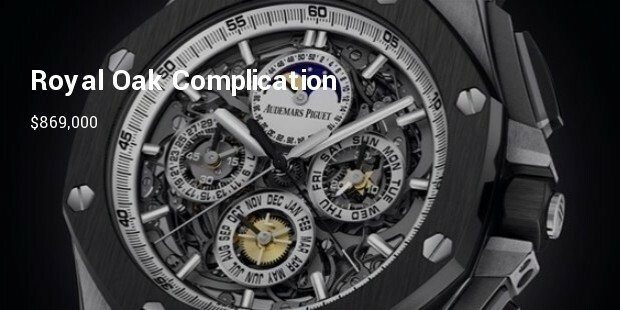 A symbol of status and wealth, expensive time pieces are some of the many things that the rich love to indulge in and Audemars Piguet offer just that but with brilliant craftsmanship.